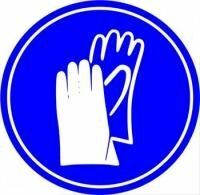 OSK believe the worst is over for rubber gloves industry. This is on the basis that latex price expected to start on a downtrend. Since latex price makes up about 60% of rubber glove manufacturers’ total production cost, any decline would prompt an earnings and profit margin re-rating. If the latex price does not decline, it will remain flat as the commodity’s scarcity would no longer be a concern, be it for genuine buyers or speculators due to slowdown in the Japanese automotive industry following the earthquake. This would result in lower tyre usage, which will result in more rubber being made available in the market. Finally, since most of the rubber glove stocks have bottomed and their valuations have returned to single digit PERs, OSK recommended that investors take a re-look at these stocks. OSK top picks for the sector are Top Glove, Supermax and Kossan.